This is a bodyweight EMOM that is truly bodyweight, unlike the previous one I posted. This workout will prove that bodyweight workouts can be very demanding. Sometimes we look for complicated methods or tools to get a great workout, but with the right approach and exercise selection, our bodies are the only tool we need. Remember, with EMOMs you perform a different exercise at the beginning of every minute with a specific rep range. Obviously the quicker you finish the exercises, the more time you will have to rest. However, please focus on your form. Don’t go fast just for the sake of going fast. If you can perform the movements well, then pick up speed. The goal of this particular EMOM is to improve metabolic conditioning and to strengthen the core. 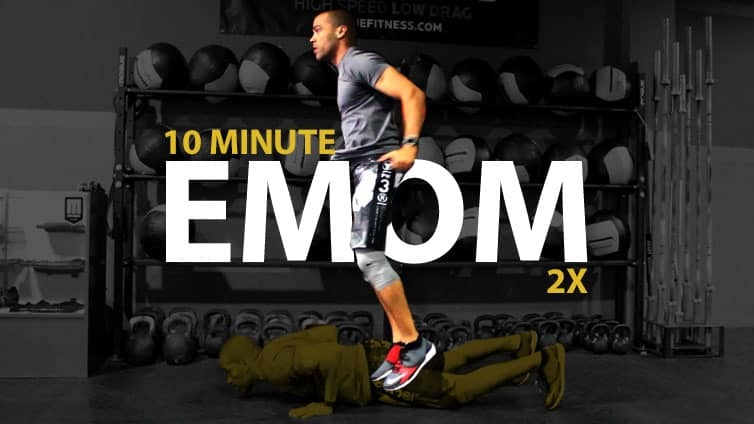 This a 10 minute EMOM that needs to be completed twice. The version above is the most advanced version. If you noticed, I placed the core exercises in between the other exercises. This way you can target you core and manage your fatigue. You’re going to need a plyo box or another stable platform where you can perform the box jumps. You’re also going to need a jump rope. 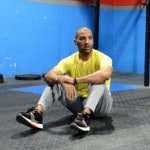 This intermediate version are for those of you who aren’t as conditioned yet, but that still want to complete the workout. It is 10 minutes long, just like the main version. Burpees are tough, and for this reason I placed it at the beginning of the workout where you will have the most energy. It is important for your chest and hips to hit the floor every time you go down so it can be more of a complete movement. If you are looking for more burpee workouts, then check out my post, “The Most Hated Exercise In The World: The Burpee“. I like to think of V-Ups as an “intermediate-going-to-advanced” core exercise. It will target your six-pack muscles as well as your hip flexors. The exercise is given the name V-Up because your body is suppose to transform itself into V shape. The most common mistake I see when this exercise is performed is that the person lifts their legs up but not their upper body. This isn’t really a mistake, it sometimes simply means that the person doesn’t have the abdominal strength to lift their upper torso as well. So basically, if you lift your legs and not your upper back, then the movement will resemble more of a reverse crunch than a v-up. Keep this in mind when you perform the exercise. Next up are box jumps. Box jumps are a fantastic lower body plyometric or explosive exercise. You will be targeting your hamstrings, quads and glutes. It is important to land with both feet on top of the platform. To minimize the chances of injury, step back down instead of jumping backwards. To perform Across the Body Toe Touches you’ll start in a plank position. Then you want to kick your leg across your body and tap the hand of the opposite side. This exercise will target your rectus abdominis, obliques and hip flexors. Try to extend the leg that is being kicked out. To make it harder, don’t return that leg back to the ground until you switch sides. Jump roping is such a useful skill. That’s right, I said skill. It takes focus and deliberate practice to jump rope with ease. To be honest, my jump roping skills are just average, far from excellent. But for now, they’re good enough. They get the job done. Try jump roping even if you can’t jump rope. Even if you do those two hops people do sometimes when they are learning this exercise. If you don’t have access to a jump rope, then simply jump (not hop) in place.